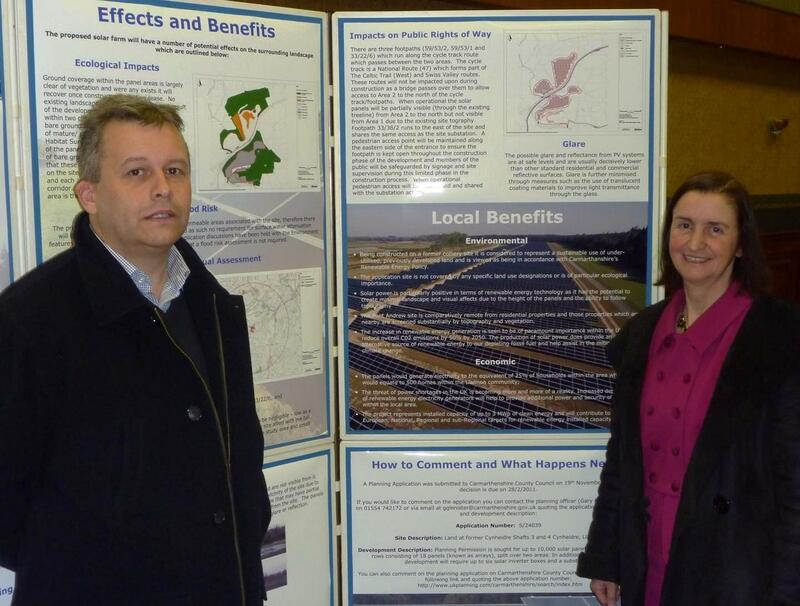 “ After the fight we had a few years ago to see off plans for an open-air sewage sludge farm on this site, it is encouraging to see these proposals for solar photovoltaic cells which produce electricity. Unlike the sewage, they won’t stink, they won’t pollute and there won’t be constant heavy lorry traffic, once the construction phase is over. The panels will feed the electricity they produce into the National Grid, using infrastructure already on site from when it was a coalmine; Yes, you need a lot of panels for a modest amount of electricity, and they are not cheap, but recent sharp rises in the price of oil have reminded us how important it is to develop alternatives to imported oil.